Google has a set of guidelines for Android manufacturers called the Android Compatibility Definition Document (CDD). This document basically outlines what gadget makers need to do to make sure their devices are compatible with Android. The CDD was updated this week for Android 7.0 (Nougat), and buried inside are some interesting changes, especially for USB-C. As Ars Technica spotted, Google is now strongly recommending that manufacturers use USB Power Delivery for fast-charging, not proprietary solutions. Fast-charging is now a common feature across Android smartphones. It’s a great feature because who wants to waste hours if you can get a quick top-off in just a few minutes. Right now, there are a few competing USB fast-charging options. Qualcomm, who makes chipsets for most high-end smartphones, has its own proprietary fast-charging solution called Quick Charge. Phones from Asus, HTC, Xiaomi, LeEco, LG, ZTE, and Sony all use Quick Charge. But there is an official USB standard too called USB Power Delivery (USB-PD), and that’s the standard Google wants manufacturers to focus on. This makes some sense, since focusing on a certified standard rather than a proprietary solution fits more with Google’s “open” ethos. As Gizmodo Reviews Editor Alex Cranz noted to me, this could also be a shot at Samsung. Samsung used its own proprietary fast-charging technology for the Galaxy Note 7. We still don’t know what caused the Note 7's batteries to explode—Samsung is investigating that—but early conspiracy theories stated that the fast-charging mechanism could have been part of the problem. Type-C devices MUST detect 1.5A and 3.0A chargers per the Type-C resistor standard and it must detect changes in the advertisement. This basically means that a USB-C device has to be able to detect changes in how much power is sent to the device. This is crucial because as a Google engineer found, cheap USB-C cables could fry your laptop or phone. 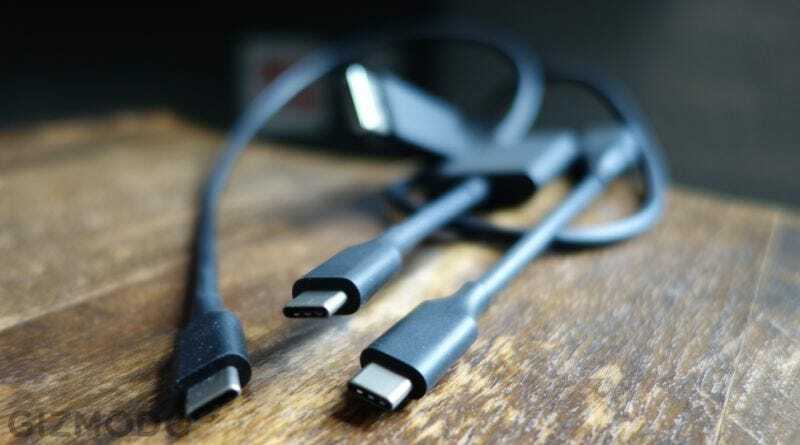 The USB Implementors Forum (USB-IF) is already working on forcing devices to authenticate between good cables and bad cables, but this requirement would ensure that device makers have the proper provisions in place to stop a cable from shorting out.